Hey friends! 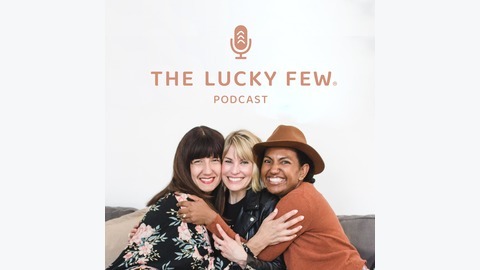 Welcome to the Lucky Few Podcast where we are shifting the narrative by shouting the worth of people with Down syndrome. With your hosts, Heather Avis, Micha Boyett, and Mercedes Lara. Become a supporter of this podcast: https://anchor.fm/theluckyfewpod/support. Mica May believes every day life can be magical and lovely. She strives to delight her family, friends and community by creating spaces to connect and products to inspire creativity and productivity. She is a mama to three kids, Jackson (who has Down syndrome), Madelyn and Harper. She is obsessed with getting her kids to laugh, Thursday date nights with her husband, and lives for the next fun thing. Through her multimillion dollar company, May Designs, Mica teaches the world to see beauty in design and in Down Syndrome. Almost immediately after launching their website and appearing on Good Morning America, May Designs had over 30,000 orders and 25,000 emails. Overwhelmed yet still unafraid, Mica May grabbed a toothbrush and her laptop and flew straight to her printing facility. Life quickly turned into conference calls in the grocery store with three kids in the cart. Over time, this CEO and advocating mama created what she calls, “systems for sanity” that have helped her achieve a blissful business and family balance. All this to say, Mica is definitely owning her influence. May Designs has contributed thousands of dollars to Down Syndrome advocacy groups, and has even provided a scholarship for a Ruby’s Rainbow participant! Mica also designed the famous “Lucky Few Tattoo” and the “Advocate Like A Mother” tumbler. She believes in starting small, and always showing up. So friends, grab a coffee and your May Designs journal and join us for a chat about translocation Down Syndrome, advocating in your business, and how to hold loosely to expectations and tightly to beauty. Scoot Over and Make Some Room: Creating a Space Where Everyone Belongs by Heather Avis is available for pre-order on Amazon. 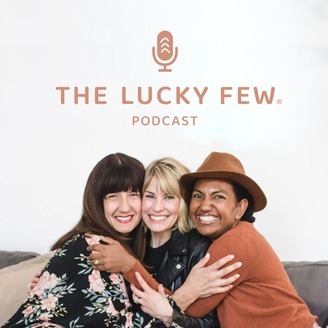 Head to Youtube and subscribe to The Lucky Few’s NEW Channel: In Search of The Lucky Few. Click here to start watching now!